Another book to help us in the delightful, but challenging, job of raising sons, Future Men is written primarily to parents. It has also, however, been devoured by our sons and has given us much material for discussion. Mr. Wilson helps us remember the obvious -- that present boys are future men. He defines masculinity as Scripture defines it (and as Jesus displays it) and then tackles the practical applications of that definition. Manhood is about responsibility, hard work, vision, sacrifice, courage, study, patience. A very thought-provoking challenge for both parents and sons. We will read this many times! 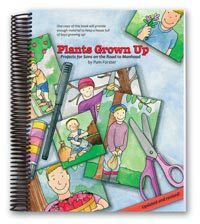 This is a wonderful book - certain to benefit your family and encourage fathers to take a hands-on approach to this book. There is an excerpt in the back from another article written by the author on the topic of marijuana. While I would never want my children to partake in the use of recreational drugs, we found a fair amount of holes in his argument that became somewhat of a struggle to entertain (especially since we're studying The Art Of Argument. The boys picked up on the bias and ill-constructed platform. We simply built upon the authors thoughts and scripture in a way that would enhance the points he was trying to convey. It became a fun assignment - in spite of the fact it was an excerpt.) The author did an excellent job in the task at hand of preparing our sons to become quality men! 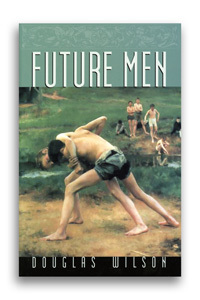 Every point in child rearing and the development of young men was exceptionally explained and we are better people for having read this book!